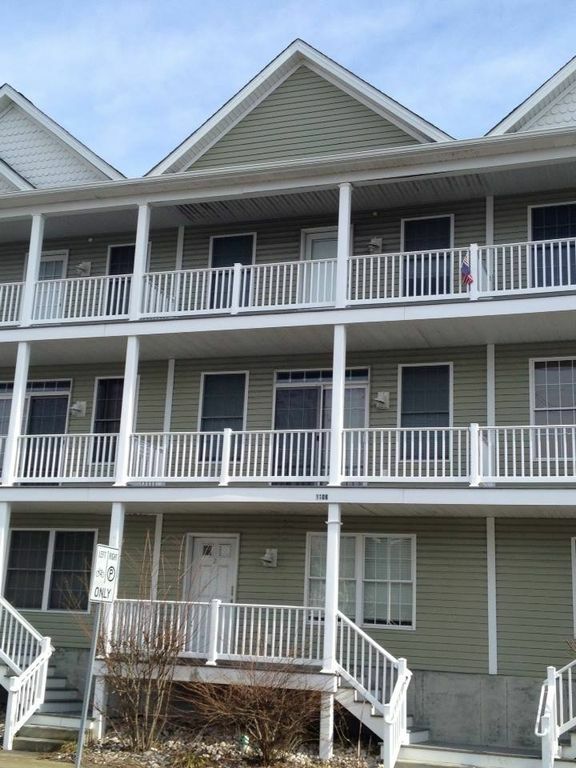 This townhome has it all in the heart of Ocean City. All the amenities of home are provided. Park your car and relax. You can walk to just about everything...and there's always the shuttle or bus. Located two blocks from the beach and one block from the bay. The boardwalk and all of it's famous attractions are just steps away...no need to fight traffic! Enjoy local restaurants & pubs like the NEW Cowboy Coast OC (17th street) , Da Lazy Lizard (1st street) Marina Deck, MR Ducks, Pickles Pub, Fishtales & Phillips Crab House, etc...all within walking distance. Take the kids to Layton's (17th street), Dip n Donuts, Jolly Rogers, Paradise Watersports and the 9th Street Fishing Pier. Walk to the famous White Marlin Tournament. Access to local attractions is effortless!! The more adventurous vacationers can easily travel across the Rt. 50 bridge to West Ocean City. LOCATION- LOCATION- LOCATION. Centrally located in walking distance to all attractions with PLENTY of designated PARKING. Designated Parking!! Two Master Suites for Privacy. Totally enjoyed our stay! The home had everything we could have wanted or needed to be comfortable. Perfect for sleeping 8-10 people and close to all the amusements in downtown Ocean City! Perfect walking distance to the White Marlin. Would highly recommend this rental home and would rent it again. Darlene- Glad to hear you enjoyed your stay in our vacation home. Our central location makes our units a favorite with visitors....especially during peak season when driving in town can be unbearable. Please visit us again soon! So happy to have found this rental unit! Perfectly located. Beautifully furnished and maintained. Owner was responsive and friendly. On site property management was a great resource, facilitating an efficient and thorough check in and check out, and was very helpful during our stay with any questions. Would definitely book again for an OCMD vacation and would highly recommend for a stress free, enjoyable vacation. Lynda- Thank you so much for your review of our property in Ocean City, MD. We take pride in maintaining the unit to ensure guests have an enjoyable stay. Our Property Management Company, Benchmark Property Services, provides hands on management during the rental period for added peace of mind. Again, we very much appreciate your review....Come see us again soon and please pass on our rental property information to anyone considering a stay in Ocean City, MD. We stayed at the Kiwi Villas condo and could not have been happier. If you've happened across this property, look no further, rent it. The main floor is very roomy, has a beautiful, well-equipped kitchen and everything is very clean and well maintained. The bedrooms are spacious and comfortable. Everything was decorated tastefully "beachy." The location is an easy walk to everything in downtown OC so we were able to park our cars in the garage (2 SUV's fit pretty easily) and did not need them again. The location was perfect for teenagers to walk to the boardwalk at night without worry. I would not hesitate to recommend these condos to anyone. So glad you enjoyed our beach home and it measured up to information provided in the listing. We offer discounts for repeat renters...Come see us again soon. This beautifully decorated townhouse felt more like home than a rental unit. The unit was very clean and well stocked with all of the amenities you would need on vacation. Likewise, the owners were very friendly and accommodating. My children (18 and 14) loved the convenient walk to the boardwalk and beach and I loved the peace of mind that I had knowing they were having a great vacation. I would highly recommend this rental for families of any age. Absolutely beautiful townhouse. Close to everything. Townhouse has everything you could possibly need! Graduating Senior- EMAIL FOR APPLICABLE RATES! All rates subject to change without notice and assume a party of 8.